Please note that we keep copies of the old brochures on the website for you to review if you wish. If there is a design from an old brochure that you like, but its no longer available in the current range, then please contact us. We may be able to make it for you as a ‘special order’ product. Likewise, if you have seen a product elsewhere (perhaps in a store, or maybe with a competitor), then please get in touch, as we can probably make it as a ‘special order’ product, and we would be happy to be given the opportunity to beat a competitors price, or supply a higher quality equivalent. Please notice that the trade ranges shown (S700 Doors & Traditional Interior) ARE available to normal consumers through this website. For EXCLUSIVE trade products and offers, for trade customers only, please contact us directly. 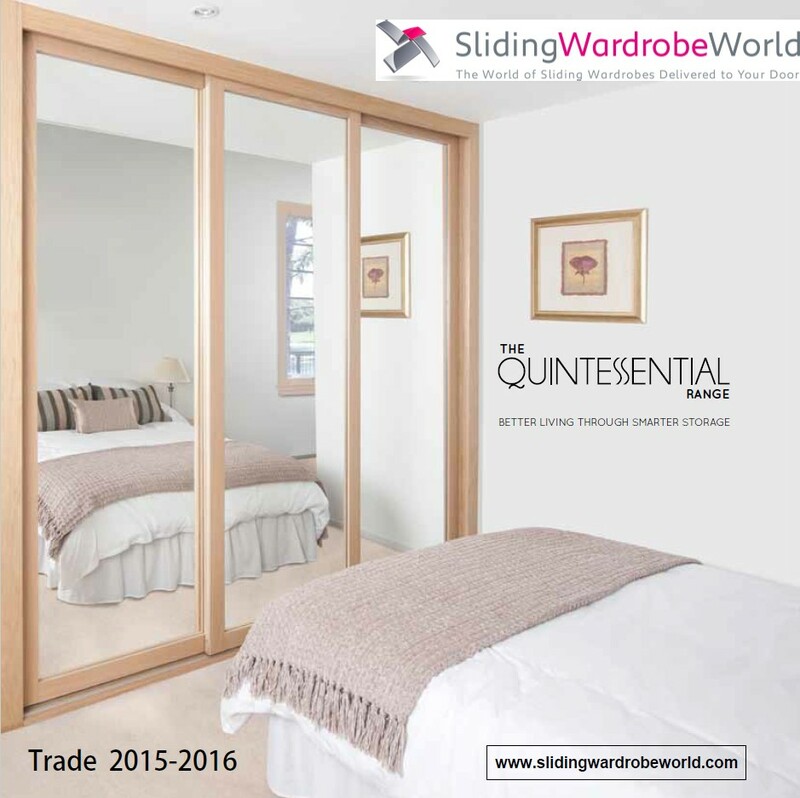 Our latest and most current Sliding Wardrobe World brochure. Please remember that the most up to date colours, finishes and products are always going to be live on the websites rather than in brochures (which are more difficult to update and reprint). Please also note that some products (Loft, Switch, Domalti & Titan) are not on the website, but can be purchased directly with us. Please contact us about these by phone or email. Our latest and most current trade brochure showing S700 doors (normal and angled for sloping ceilings), the Traditional Interior, Alume/Relax Interior and also our Economy made to measure doors. Please note the brochure is unbranded for our trade customer to print and distribute to their customers. Please notice that the trade ranges shown ARE available to normal consumers through this website. For EXCLUSIVE trade products and offers, for trade customers only, please contact us. Some of the latest colours are not yet showing on the design tools, so please contact us about these. Find out more about our new range of products for 2016. You will notice that some of the products have not made it onto the website yet (Loft, Switch, Domalti and Titan), so contact us if you are interested in these. Some product are retailed online under different names to their high street and Catalogue names e.g. Gliss versus Minimalist and Maxima versus Ellipse, and trade products such as S9 are not in the catalogue. If you’re confused, just call us. Trade sliding wardrobe door and interiors including Series 700 Sliding Wardrobe Doors (normal and angled for sloping ceilings), and also the traditional interior. Glass finishes on pages 24 and 25 have been completely discontinued, but please contact us if you are interested in more up to date glass designs. The wide frame veneered aluminium systems has been discontinued, but please check out our Shaker range of doors for something similar. Find out more about the different Contour, Classic, Shaker, Gliss and Maxima Made to Measure Sliding Wardrobe doors and Alumé Relax Modular Wardrobe Interior and Bedroom Storage Solutions with swatch panels, measuring up information and interior pack fittings. 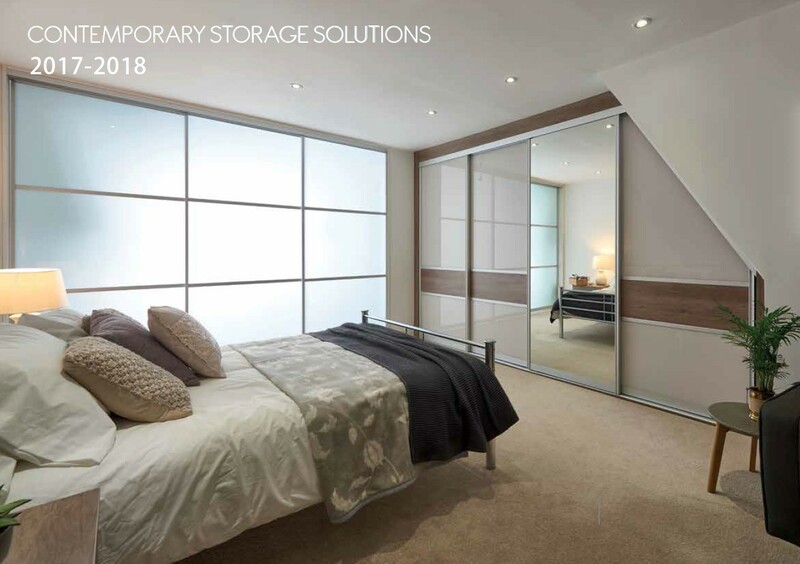 Find out more about the different Contemporary, Shaker, Classic and Kids Standard Size Sliding Wardrobe Doors and Aura Modular Wardrobe Interiors and Bedroom Storage Solution, with swatch panels, measuring up information and interior pack fittings. 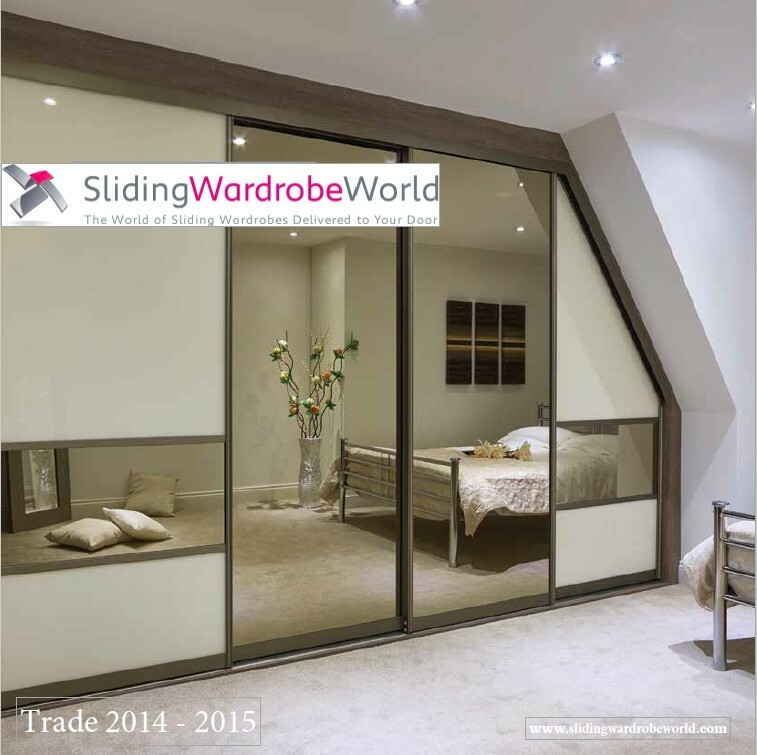 This brochure contains the S700 Range of sliding wardrobe doors in all the finishes available during 2014 to 2015. Many finishes are still available now. It also shows the bespoke range of drawers and interiors with some lovely photos of the glass drawer fronts. Also included is the Alume/Relax interior combined with the glass fronted drawers from the traditional range. Although not shown on the website, this combination is still possible, but you will need to contact us to configure and order this product. You will also see some hinged door options. Please contact us if you are interested in these as some are discontinued. 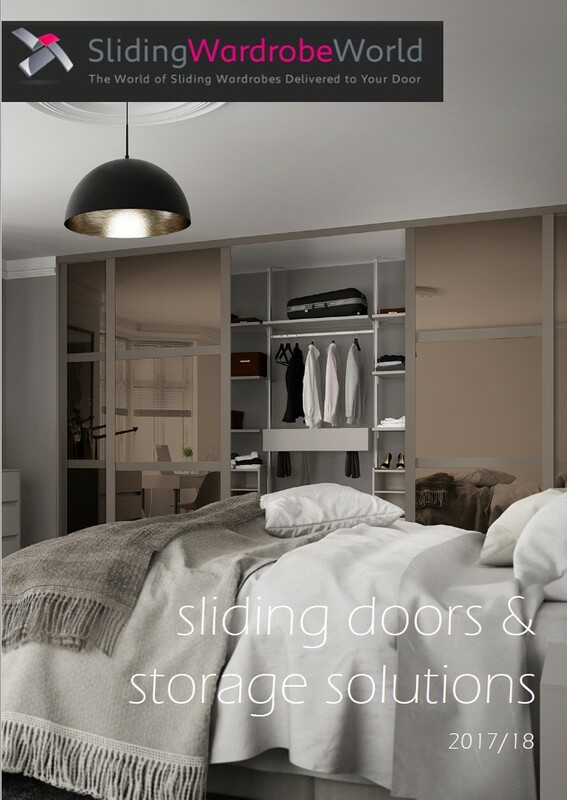 This brochure contains most of the same products as our Sliding Wardrobe World Brochures, but using some of the trade names. It also includes some information on S9 and the S9 Traditional Interior (both available on the website but not in previous brochures), and some information on the new colours available for the Relax / Alume Interior (Aluminium Interior 2). Aluminium Interior 2 is not available on the website yet, so please call us if this is of interest. You can design and purchase door these ranges in our Made to Measure Sliding Wardrobe Design Tool, our Standard Size Sliding Wardrobe Door Design Tool, or our NEW Sliding Wardrobe Interior Design Tool. If you still require any further information then please do not hesitate to contact us.